A year after North Carolina lawmakers passed relaxed regulations for dropout data in virtual charter schools, leaders in the state’s relatively young virtual charter sector are reporting far lower withdrawal numbers. Policy Watch reported last year on high withdrawal rates and dismal academic marks at the for-profit, virtual schools, N.C. Connections Academy and N.C. Virtual Academy. And, despite concerns about the performance of similar virtual programs in other states, North Carolina legislators issued new regulations with sweeping exceptions to the schools’ withdrawal rate. The new data was presented to members of the Charter School Advisory Board this week, a panel that counsels the State Board of Education on North Carolina’s growing charter industry. Top administrators for the state’s two virtual charter schools boasted 2016-17 student withdrawal rates that are a fraction of what they were in the previous year, largely due to recent legislative changes that allow the schools to remove from the equation many students who dropout for various different reasons. Reporting to the state charter oversight board Tuesday, K12, Inc.-backed North Carolina Virtual Academy (NCVA) posted a student withdrawal rate of just 5 percent for the first five months of the academic year—a big drop from last year’s 26 percent. Pearson-backed North Carolina Connections Academy (NCCA) also posted a student withdrawal rate of 5 percent, a big difference from their rate last year at this time of 25 percent. By the end of the 2015-16 academic year, NCCA posted a 31 percent withdrawal rate, which exceeded the legal maximum. Administrators for both virtual charter schools pointed to the NC General Assembly’s recent move to allow virtual charters to exclude a wide array of students from their withdrawal rates as one reason for the big drops. Wagner goes on to explain the unique, and controversial, history of these virtual charter programs in North Carolina. Also remember that the State Board of Education gave virtual charters significant latitude when it comes to counting student attendance — a policy that virtual charter leaders say is necessary to accommodate the unique learning environment they offer. 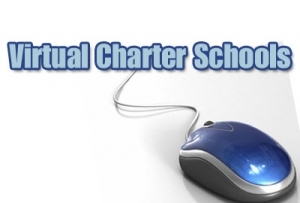 According to that policy, virtual charter schools would only lose their state funding for a student if he or she fails to show any “student activity,” —as defined by the for-profit charter operators—for at least ten consecutive days. Both virtual charter schools demonstrated poor student academic outcomes in 2015-16, each receiving F school performance grades in math and Cs in reading. They were also categorized as low performing schools, a designation that requires them to submit a strategic improvement plan. Both schools also received the lowest possible score for student academic growth, a 50 on a scale of 50-100. The North Carolina General Assembly enacted a virtual charter school pilot program that began in 2015, despite the fact that virtual charter schools nationwide have been plagued by problems that range from poor student academic outcomes, high withdrawal rates and low graduation rates. Tennessee made efforts to shutter its K12, Inc.-backed virtual charter school and the NCAA stopped allowing coursework in its initial eligibility certification process from 24 virtual schools that are affiliated with K12, Inc.